Hepatitis C or hepatitis C virus is not related to other viruses that cause hepatitis but like other hepatitis viruses, it is contagious. The hepatitis C transmission occurs by a contact with blood or blood products. Sharing of contaminated syringes or needles is the most common mode of hepatitis C transmission. Transfusion with infected blood or blood products, organ transplantation from infected donors and hemodialysis was once a mode of hepatitis C transmission. 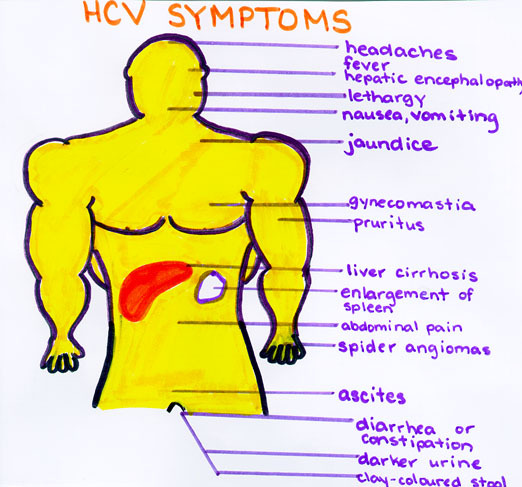 These can also be regarded as the causes of hepatitis C.
Hepatitis C can’t occur by touching a person with hepatitis C.Some people describes the symptoms of hepatitis C as flulike.The symptoms of hepatitis C may last a few weeks or months. This is just a theory but I think it’s pretty sound.